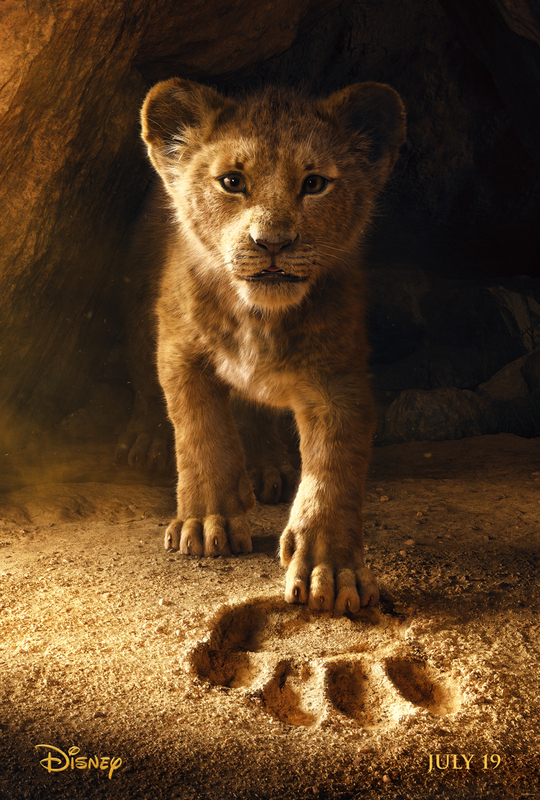 The first trailer for director Jon Favreau's "live-action" adaptation of Disney Animation Studios 1994 classic, The Lion King, has arrived and while it gives us more than that Aladdin teaser did a month or so ago, this is still very much a tease. While it's easy to be cynical about what are more or less re-makes of your childhood favorites in favor of modern technologies such as motion capture and some downright astonishing CGI over the classic hand-drawn style of animation that mine and so many generations before me were raised on it is also hard to deny the beauty and scope of what Favreau has seemingly been able to accomplish here. Like Favreau’s The Jungle Book, the filmmaker's take on The Lion King will feature a mix of CGI and live-action techniques as is evident in the shots in this first-look footage; the tangible environments only making the clearly CGI, but nearly convincing animals all the more convincing. The moment that music breaks in though, I dare anyone born between 1985 and 2000 to try and be overly cynical or pessimistic about what this movie might potentially bring to the table as the majesty the song captures and the pure grand spectacle these visuals boast is something that-even if we know the story and know what's coming-will be astonishing to experience on the big screen. Speaking of the music, one has to wonder how many of the original songs will be included and to what degree. Favreau included the notable arrangements from the 1967 animated The Jungle Book in his 2016 version, but while there has been talk of cutting certain songs, The Lion King has such an iconic roster of musical moments it's hard to imagine the finished product with any of them missing. That said, Elton John did in fact return to re-record some of his original music for this updated version collaborating with cast member, Beyonce Knowles Carter, in the process. The Lion King will also feature the voice work of Donald Glover, Seth Rogen, Eric Andre, Billy Eichner, Alfre Woodard, James Earl Jones, John Oliver, Keegan-Michael Key, Chiwetel Ejiofor, John Kani, and opens on July 19th, 2019.